On a chilly November night in 1966, two young couples drove into the TNT area north of Point Pleasant, West Virginia, when they realized they were not alone. What they saw that night has evolved into one of the great mysteries of all time; hence the Mothman Legacy began. It has grown into a phenomenon known all over the world by millions of curious people asking questions: What really happened? What did these people see? Has it been seen since? It still sparks the world's curiosity - the mystery behind Point Pleasant West Virginia's MOTHMAN. Point Pleasant is a city in Mason County, West Virginia, United States, at the confluence of the Ohio and Kanawha Rivers. The population was 4,637 at the 2000 census. It is the county seat of Mason County and the principal city of the Point Pleasant, WV-OH Micropolitan Statistical Area. Point Pleasant is most famous for the 1967 collapse of the Silver Bridge, which killed 46 people, and the sightings of the elusive creature that is said to live in the abandoned TNT factory, the cryptid Mothman. The Mothman, whose name was inspired by the Batman villain "Killer Moth", was reportedly first sighted on November 12, 1966. A group of five men were preparing a grave in a cemetery near Clendenin, West Virginia when they reportedly saw a "brown human shape with wings" soaring from behind trees and flying over theirheads. The sighting was not made public until later, and the first sighting reported in the media occurred three days later. The Mothman is often referred to today as a very elusive almost magical cryptid or creature reportedly seen in the Point Pleasant region of West Virginia from November 12, 1966, to December 1967 the story and facts concerning this monster can be found in Brad Steiger's superb recent comprehensive great work, Real Monsters, Gruesome Critters, and Beasts from the Darkside. The mothman by all accounts is so described as a average height of being near or over 7-foot-tall (2.1 m). A real life moth like creature, with huge long flat wings on a human like body. And so possessing a overly large bug like and at times glowing reflective glassy red eyes. It is so said that possesses an unusual train whistle high pitched shriek when disturbed or trying to ge you attention before it might attack. And strangely some today state that recent witnesses often encounter on their search a peculiar odor which might be smelt when he is near but not visible. Most observers, researchers and witnesses have so describe the terrible Mothman as a tall man-sized creature with large glowing or reflective bright blood red eyes. The eyes are described as bug like and very reflective and glassy. Always described with large dark or gray un recognizable patterned marked wings or those similar to a common Brown Moth - Nomophila narcotic. The creature sometimes reported as seeming to have no head or neck, with its eyes set into what would be a normal humans its chest area. 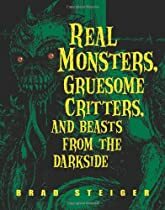 ALSO PLEASE SEE: "TOP TEN CRYPTIDS"
Too often many over sensationalized general hypotheses have been put forth to explain eyewitness accounts of the Moth Man, these ranging from misidentification and coincidence, Mistaking other animals or people as the creature to paranormal phenomena be explained as the creatures telepathic powers and ability to predict disaster. And of course conspiracy theories that this creature is a genetic experiment gone wrong. On November 15, 1966, two young couples from Point Pleasant, Roger and Linda Scarberry, and Steve and Mary Mallette, along with their young cousin, Lonnie Button, were traveling late at night in the Scarberrys' car. They were passing the West Virginia Ordnance Works, an abandoned World War II TNT factory, about seven miles north of Point Pleasant, in the 2,500 acre (10 km²) McClintic Wildlife Management Area, when they noticed two red lights in the shadows by an old generator plant near the factory gate. They stopped the car, and reportedly discovered that the lights were the glowing red eyes of a large animal, "shaped like a man, but bigger, maybe six and a half or seven feet tall, with big wings folded against its back," according to Roger Scarberry. Terrified, they drove toward Route 62, where the creature supposedly chased them at speeds exceeding 100 miles per hour. Folklorist Jan Harold Brunvand cited elements in common between many Mothman reports and much older folk tales, and noted: "Something real may have triggered the Mothman scares, but the stories - whatever their sources - also incorporated existing folklore." A plaque on the Mothman statue provides a version of the original legend: "On a chilly, fall night in November 1966, two young couples drove into the TNT area north of Point Pleasant, West Virginia, when they realized they were not alone. "Driving down the exit road, they saw the supposed creature standing on a nearby ridge. It spread its wings and flew alongside the vehicle up to the city limits. They drove to the Mason County courthouse to alert Deputy Millard Halstead, who later said, "I've known these kids all their lives. They'd never been in any trouble and they were really scared that night. I took them seriously." He then followed Roger Scarberry's car back to the old Ordnance Works and found no trace of the strange creature. According to the book Alien Animals, by Janet and Colin Bord, a poltergeist attack on the Scarberry home occurred later that night, during which the creature was seen several times. The following night, on November 16, several armed townspeople combed the area around the TNT plant for signs of Mothman. Mr. and Mrs. Raymond Wamsley, and Mrs. Marcella Bennett, with her infant daughter Teena, were in a car en-route to visit their friends, Mr. and Mrs. Ralph Thomas, who lived in a small house near the igloos (concrete dome-shaped dynamite storage structures erected during WW-II) near the TNT plant. The igloos were now empty, some owned by the county, others by companies intending to use them for storage. They were heading back to their car when a figure appeared behind their parked vehicle. Mrs. Bennett said that it seemed like it had been lying down, slowly rising up from the ground, large and gray, with glowing red eyes. While Wamsley phoned the police, the creature walked onto the porch and peered in at them through the window. On November 24, four people allegedly saw the creature flying over the TNT area. On the morning of November 25, Thomas Ury, who was driving along Route 62 just north of the TNT, claimed to have seen the creature standing in a field, and then it spread its wings and flew away, and Thomas sped toward the Point Pleasant sheriff's office. He then reported the incident that he had seen. A Mothman sighting was again reported on January 11, 1967, hovering over the town's bridge, and several other times that same year. Fewer sightings of the Mothman were reported after the collapse of the town's bridge, the Silver Bridge, when 46 people died. The Silver Bridge, so named for its aluminum paint, was an eyebar chain suspension bridge that connected the cities of Point Pleasant, West Virginia, and Gallipolis, Ohio, over the Ohio River. The bridge was built in 1928, and it collapsed on December 15, 1967. A large collection of first-hand material about the Mothman is found in John Keel's 1975 book The Mothman Prophecies, in which Keel lays out the chronology of the Mothman and what he claims to be related para psychological events in the area, including precognitions by witnesses, and the December 15, 1967 collapse of the Silver Bridge spanning the Ohio River. Keel's first book was the basis of a 2002 film, The Mothman Prophecies, starring Richard Gere, Laura Linney, Debra Messing, and Will Patton, directed by Mark Pellington. A companion book called The Eighth Tower, also released in 1975, was derived from material edited from The Mothman Prophecies by the publishers. In the May–June 2002 issue of the Skeptical Inquirer, journalist John C. Sherwood, a former business associate of UFO hoaxer Gray Barker, published an analysis of private letters between Keel and Barker during the period of Keel's investigation. In the article, "Gray Barker's Book of Bunk", Sherwood documented significant differences between what Keel wrote at the time of his investigation and what Keel wrote in his first book about the Mothman reports, raising questions about the book's accuracy. Sherwood also revealed his participation in a hoax by Barker, having posed as "Richard Pratt" for some of Barker's hoaxes. Andy Colvin, a photographer and documentary filmmaker who claims to have seen the Mothman, has produced two books and a reality series on Mothman called The Mothman's Photographer, featuring John Keel and almost 50 witnesses. Colvin's sister took a snapshot of him in 1973 that allegedly shows a Garuda in the background. The Garuda (Sanskrit/Javanese/Balinese/Indonesian: garuḍa गरुड, eagle; Pāli garuḷa; Burmese:\ [ɡəlòuɴ]; Tamil: karutan; Thai/Lao/Khmer: ครุฑ khrut; Malay: geroda; Mongolian: garid гарьд) is a large mythical bird or bird-like creature that appears in both Hindu and Buddhist mythology. From an Indian perspective, Garuda is the Hindu name for the constellation Aquila and the Brahminy kite is considered to be the contemporary representation of Garuda. Indonesia adopts a more stylistic approach to the Garuda's depiction as its national symbol, where it depicts an eagle (being much larger than a kite). In Hindu religion, Garuda is a lesser Hindu divinity, usually the mount (vahanam) of the God Vishnu. Garuda is depicted as having the golden body of a strong man with a white face, red wings, and an eagle's beak and with a crown on his head. This ancient deity was said to be massive, large enough to block out the sun. Garuda is known as the eternal sworn enemy of the Nāga serpent race and known for feeding exclusively on snakes, such behavior may have referred to the actual Short-toed Eagle of India. The image of Garuda is often used as the charm or amulet to protect the bearer from snake attack and its poison, since the king of birds is an implacable enemy and "devourer of serpent". Garudi Vidya is the mantra against snake poison to remove all kinds of evil. His stature in Hindu religion can be gauged by the fact that an independent Upanishad, the Garudopanishad, and a Purana, the Garuda Purana, is devoted to him. Various names have been attributed to Garuda - Chirada, Gaganeshvara, Kamayusha, Kashyapi, Khageshvara, Nagantaka, Sitanana, Sudhahara, Suparna, Tarkshya, Vainateya, Vishnuratha and others. The Vedas provide the earliest reference of Garuda, though by the name of Śyena, where this mighty bird is said to have brought nectar to earth from heaven. The Puranas, which came into existence much later, mention Garuda as doing the same thing, which indicates that Śyena (Sanskrit for Eagle) and Garuda are the same. One of the faces of Śrī Pañcamukha Hanuman is Mahavira Garuda. This face points towards the west. Worship of Garuda is believed to remove the effects of poisons from one's body. In Tamil Vaishnavism Garuda and Hanuman are known as "Periya Thiruvadi" and "Siriya Thiruvadi" respectively. In the Bhagavad-Gita (Ch.10, Verse 30), in the middle of the battlefield "Kurukshetra", Krishna explaining his omnipresence, says - " as son of Vinata, I am in the form of Garuda, the king of the bird community (Garuda)" indicating the importance of Garuda. Garuda plays an important role in Krishna Avatar in which Krishna and Satyabhama ride on Garuda to kill Narakasura. On another occasion, Lord Hari rides on Garuda to save the devotee Elephant Gajendra. It is also said that Garuda's wings when flying will chant the Vedas. Troy Taylor (2007). "Unexplained America — "Mothman: The enigma of Point Pleasant"". Dark Haven Entertainment. The Mothman ^ The Plaque ^ "Cryptozoology - Mothman". Skeptic World. "West Virginia Historical Society Quarterly". Wvculture.org. Retrieved 2009-06-15. ^ Nickell, Joe (March/April 2002). "Mothman Solved". "The Mothman’s Photographer". UFOMystic. Retrieved 2009-06-15.
mothmanlives.com. Mothman Festival is a weekend long event held only in Point Pleasant, West Virginia occurring on the 3rd weekend every September.Mothmanfestival.com. Retrieved 2009-06-15.